The Dominican Republic is a special place to me. I've been able to travel there four times now, including twice in 2017. I've seen, or at least traveled through, the majority of the country, and I've fallen in love with the people, the food and the culture. I could go back there time and time again. On my first trip in 2013, I had one of the most memorable meals of my life. Upon my returns to the country, those expectations have only been matched... other than in Punta Cana, where all-inclusive resort food does not live up to any sort of authenticity standards. 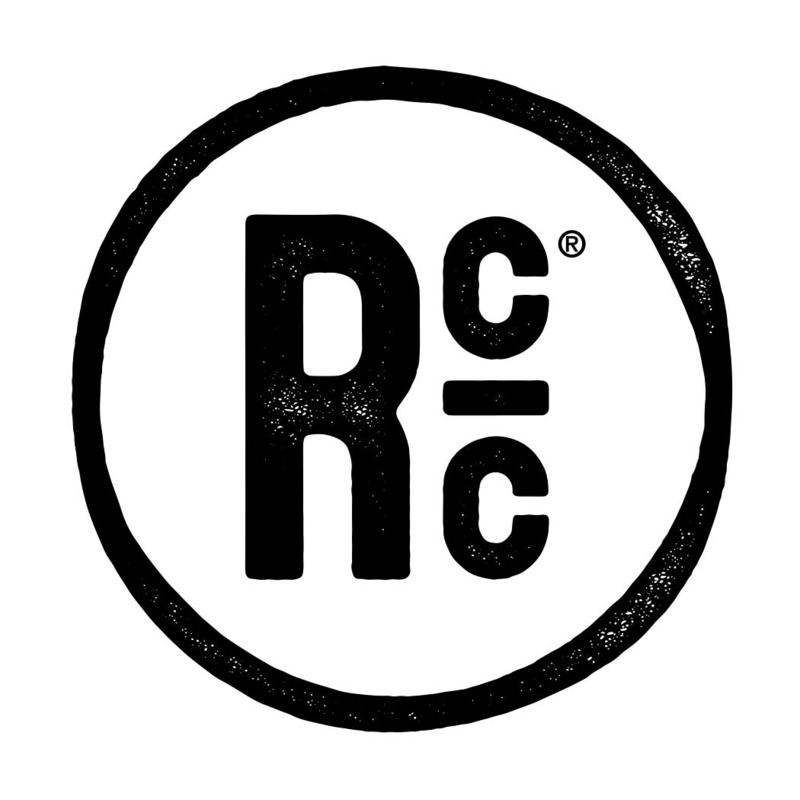 Last year I launched Jay D's Single Origin Coffee, a project that sources coffee beans directly from Dominican coffee farmers then roasts the green coffee with Baton Rouge's Cafeciteaux Coffee Roasters. I spoke about how it all came together at TEDxLSU. 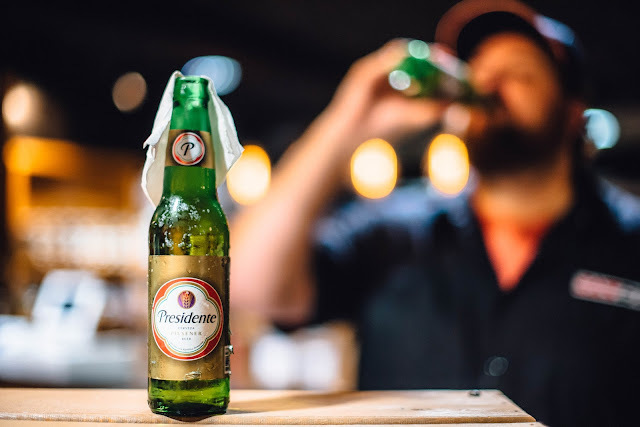 After a trip to the coffee farms in May and then another culinary media trip in August to Santo Domingo and Puerto Plata, I felt like it would be a great time to bring some of my Dominican bite and booze experiences back to Baton Rouge. 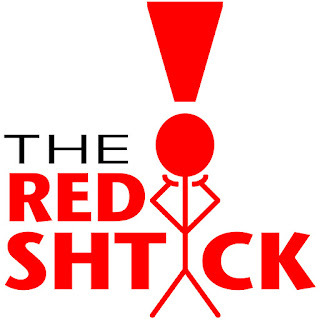 We've been organizing a series of dinners at Red Stick Spice Company on Jefferson Highway, so putting together a Dinner Dominicana at Red Stick just made sense! We started the meal with an appetizer while guests were able to walk around the store and browse the selection of spices, oils, vinegar, teas and local products. 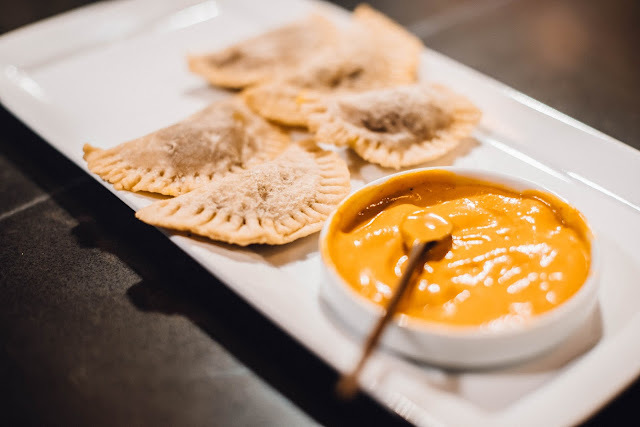 Our goat empanadas were formed into yucca flour dough and fried to crispy. They were served with a coconut habanero hot sauce. This dish reminded me of empanadas available from street vendors in Santo Domingo. 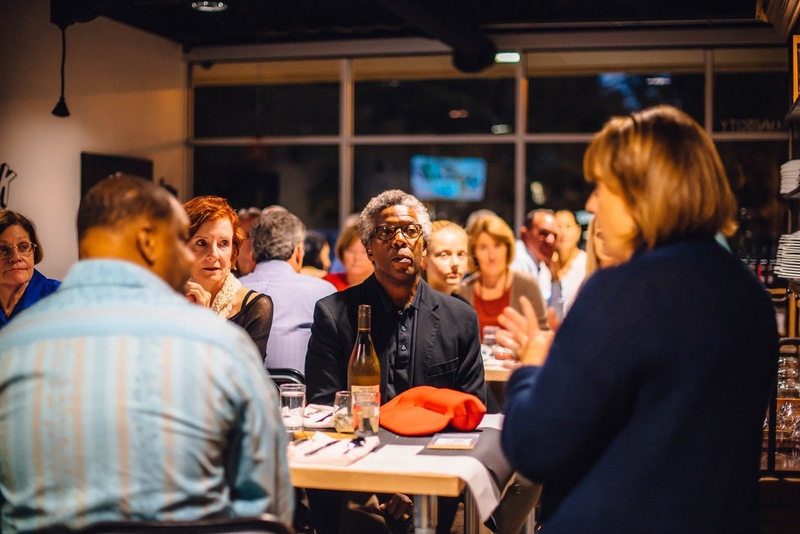 As the group of hungry diners took their seats on the classroom side of Red Stick Spice, Anne Milneck, the store's owner, welcomed everyone. She gave them each packet of Adobo seasoning, commonly used in Latin American cooking, as party favors to take home. I also greeted the guests before the second course arrived, a Dominican beef and root vegetable stew called sancocho. 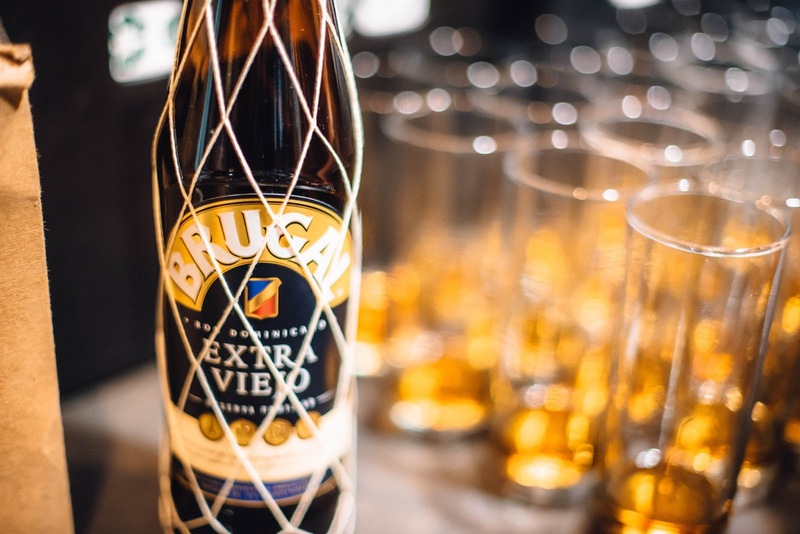 Back when Blair and I were in the Dominican Republic we brought back a couple bottles of Brugal Extra Viejo, one of my favorite Dominican rums, so that we could use it for a dinner like this. We used the tasty sugarcane elixir in a batch of Santo Libres, a simple beverage of rum and lemon-lime soda. Used to rum and Coke? Next time try Sprite or 7up! The Sancocho is a thick and hearty stew of beef and root vegetables like sweet potato and yucca. It could be equated to the Dominican (and Puerto Rican) version of gumbo, and sometimes even served with rice, but it uses the starches from the root vegetables instead of a roux as the thickener. I had an absolutely fantastic sancocho from Chef Martin Omar at Hodelpa Nicolas de Ovando in Santo Domingo. All I could do was try to do that stew justice. The main course of the evening was my play at the most quintessential dish in all of the Dominican Republic: pollo guisado. This is also the dish in my previously aforementioned memorable meal post. 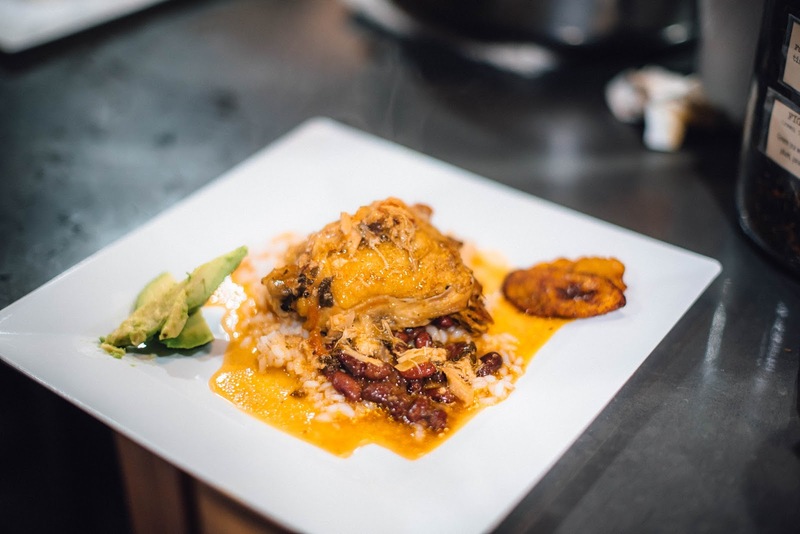 Chicken, which can be found free-ranging all over the country, is stewed in a bath of tomato and garlic then served with rice, beans and fried plantains. 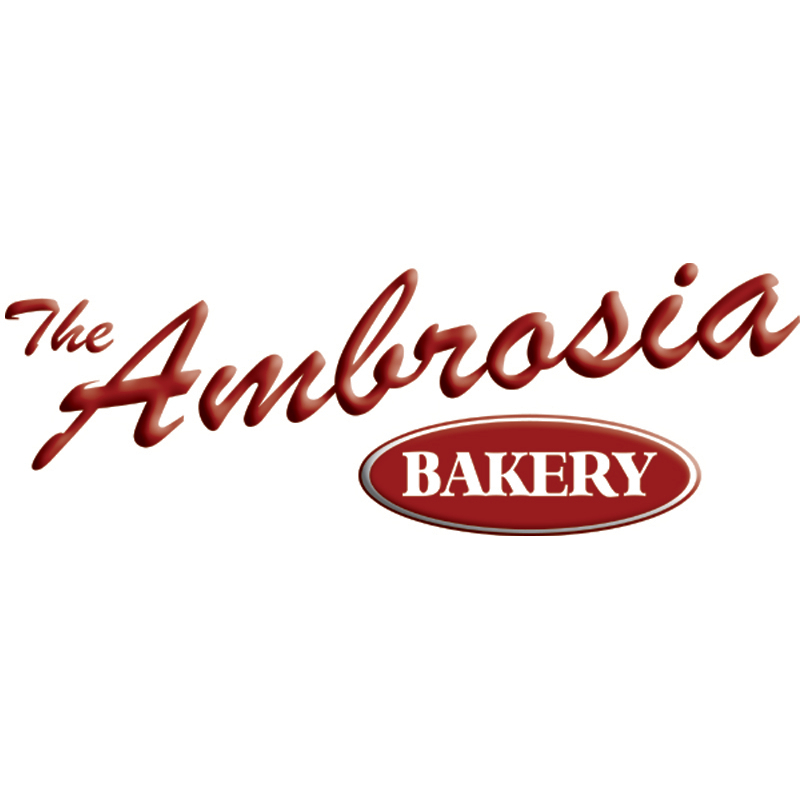 It is a nurturing, comfort, home-cooked kind of a meal that has slight variations anywhere and everywhere you eat it. 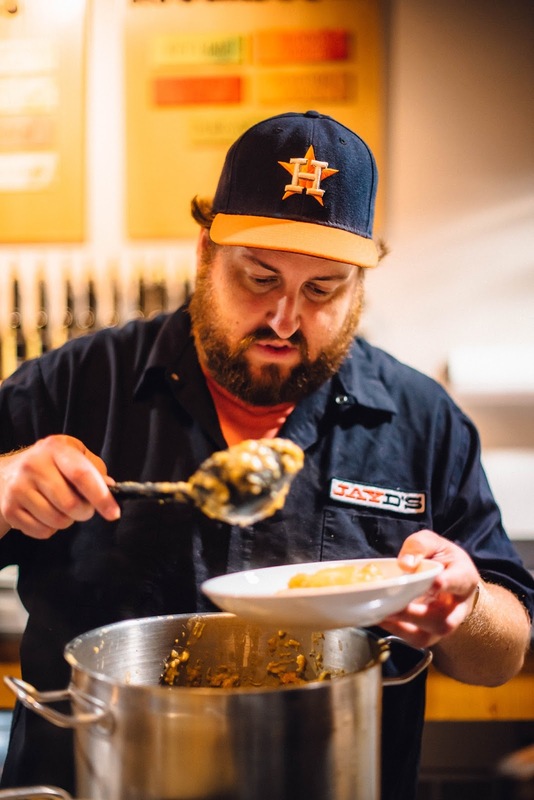 No two cooks make it the same, and you can have great versions and some very mediocre versions, but all in all, it's the lifeblood of the nation. For dessert, we took a trip to the more tropical side of Caribbean cuisine. 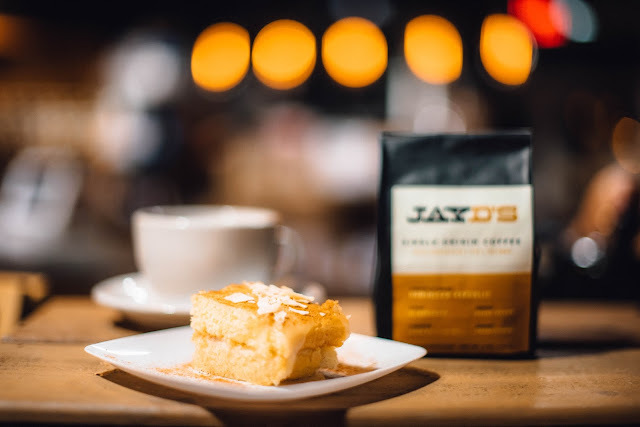 Our Gov't Taco Majority Whip, Therese Schneider, took the lead on making a rum-infused coconut cake that we served with a cup of Jay D's Single Origin Coffee. I wanted the opportunity to talk about my coffee and the people in the Dominican Republic who grow the beans. The coffee, as well as all of my products, can be found at jayducote.com/shop. Now I just need to figure out when I'll be able to make a return trip to the Dominican Republic. I'm sure it won't be long! Good morning and welcome winter to South Louisiana! Snow days don't happen down here all that often, and when they do there is usually not REAL snow, just a little that barely sticks to the ground. 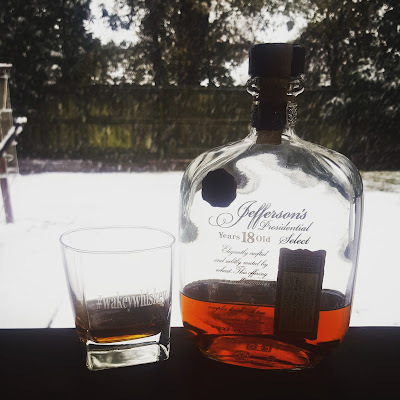 Yesterday morning though, the most legit snow I've seen down here, several inches all over covering the yard and cars and roofs, it was pretty awesome, so I broke out my Wakey Whiskey rule book, and sure enough, snow days call for a wakey whiskey. If you ever want to consult the Wakey Whiskey rule book, let me know. There's only one copy in existence as of now, but I'll be happy to share some knowledge. Coincidentally since I didn't have to go to work yesterday I had time to head over to the brand new Bite and Booze HQ to help Jay and the crew unpack all the liquor before a party. 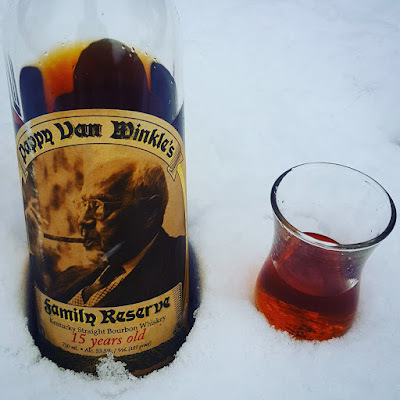 While unpacking a box of whiskey I stumbled upon a bottle of Pappy Van Winkle 15-Year, and I wasn't really going to take "no" for an answer. I had already broken out a pour of Jefferson's Presidential Select 18-Year for a wakey whiskey at my place, but two pours are better than one, right? As far as the Pappy goes... any good whiskey fan will know that it's one of the most sought after bourbons in the world. The whiskey originated at the Stitzel-Weller distillery (now producing Bulleit whiskey), went through the Old Rip Van Winkle Distillery branding, and is now produced by Buffalo Trace (owned by the Sazerac Company out of New Orleans) to the exact recipe that was originated by Julian "Pappy" Van Winkle back in the day. It's now the signature whiskey range of the Buffalo Trace Antique Collection that you'll probably see mention of coming up soon, as it's popular for stores that get some to raffle it off. Now on to the whiskey itself, and it's amazing. Complex, incredibly smooth, dark color with a rich oakey flavor that comes from all the time in the barrel. There are definite fruity notes, dark fruits like cherries and strong hints of vanilla and molasses. This whiskey lives up to the hype, and I'm sure I don't have to spend time convincing anyone reading this to buy a bottle if you have the chance. If you see one and don't want it for yourself, buy it and I'll pay you back. Well, unless the secondary prices have gone through the roof... one of the bad things about whiskey gaining in popularity is that demand exceeds supply and the prices reflect it.